Recently, a PMP aspirant asked a question about the difference between the two conflict resolution techniques - Smoothing and Compromise - in PMP Cert Online Study Group. His question inspired me to write this article. First, let’s understand what Smoothing and Compromise are, and then we’ll look at some examples to understand them better. The issue is not resolved, but swept under the carpet. In other words, the issue is 'avoided'. Since the underlying issue still exists, the conflict may resurface. Smoothing is used when stakes are low. The issue is actually resolved, and not just covered-up. It is considered to be a lose-lose situation because both parties give up something. It takes more emotional intelligence than smoothing because the issue is brought out into the open and discussed. It may be useful when the stakes are moderate and when both parties want to maintain the relationship. Put simply, Compromise is usually better than Smoothing, but depending upon the situation either one can be justified. Let’s take the example of the dispute between India and Pakistan. After the 2008 terrorist attacks in Mumbai, India suspended dialogue with Pakistan and demanded Pakistan to take action against the perpetrators. But a new development yesterday really caught my attention. When Indian PM and Pakistani Prez met in Egypt yesterday, they decided to delink the issue of terrorism from talks and resumed the dialogue on other issues. Here the main issue of terrorism has been “swept under the carpet”. The issue still exists and will surely resurface, but for now, they are talking to each other. This is a perfect example of ‘Smoothing’. The whole world knows about the stand-off between India and Pakistan on the issue of Kashmir. Let’s say India and Pakistan decide to split Kashmir into two parts (I mean ‘officially’ split it) and take control of one part each. If they resolve the issue in this manner, it would be a ‘Compromise’. Both parties want Kashmir but at the end of the day, they resolve the conflict by ‘Compromising’ and giving up some part of their demand. This is just a hypothetical example. Since the stakes are so high, a compromise may not work in this situation. I won’t delve further into politics. I hope you can clearly see the difference between Smoothing and Compromise now. Peace. 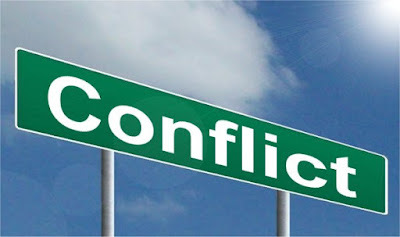 What is the Best Conflict Resolution Technique? Here what i would like to add that after 1971 war, when India defeated pakistan very badly, after that in Simla agreement, the Kashmir issue was buried under the carpet. Even though India had a very good chance to settle this issue once for all, considering that pakistan got defeated so badly in the war. But not sure whose intelligent brain (from India's side) was behind this, rather than Forcing (take back pok) or Compromise (like making LoC actual border), soothing was done... and now the result is there in front of all of us !! or Pak can just give up Kashmir entirely and India can start rebuilding the state & recover its lost glory: that's a compromise too. Great examples. My understanding of the topic is better now.